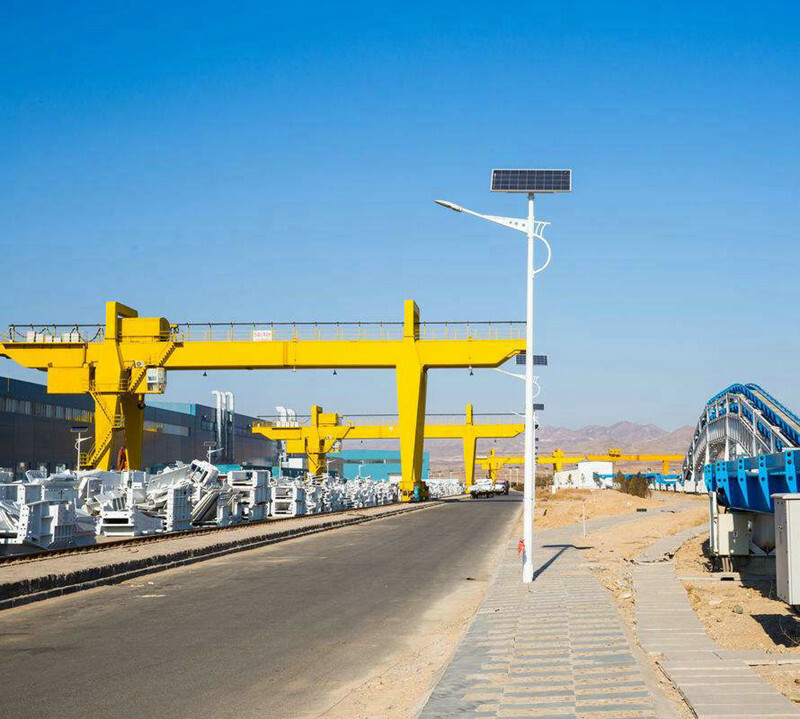 Rail Container Gantry crane manufacturer, Sinokocrane is specialized in producing all kinds of GB, the European standard, bridge crane, gantry crane and light duty crane equipment. 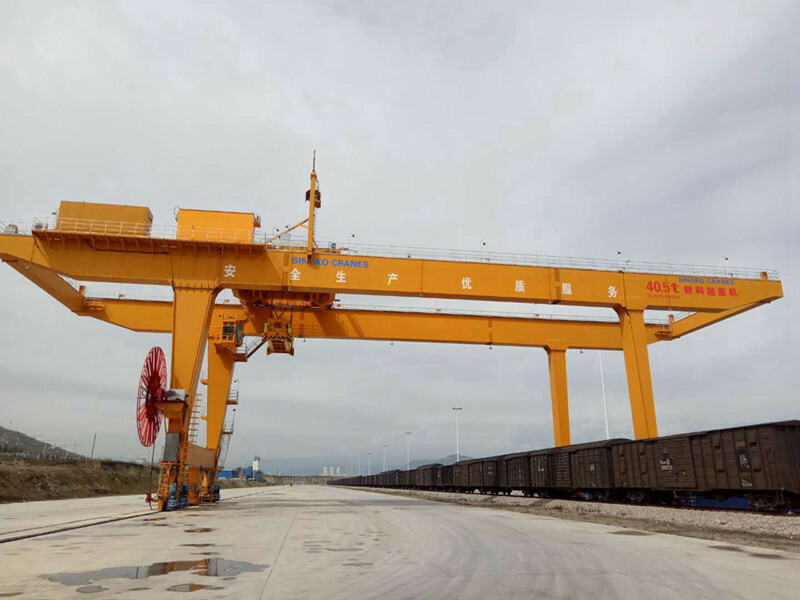 Rail container gantry crane is divided into different types according to the structure of main girder and door legs and the anti-rolling device adopted. 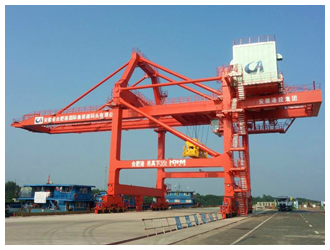 One is relative to the shore container cranes, the second is the rail container gantry cranes. The trolley of rail container gantry crane running speed is much lower, usually no damping device. If users will ask to reduce operating intensity and improve production efficiency requirements, the anti-roll device will be used. For rope hoisting gear, the swaying is usually achieved by damping the rope. 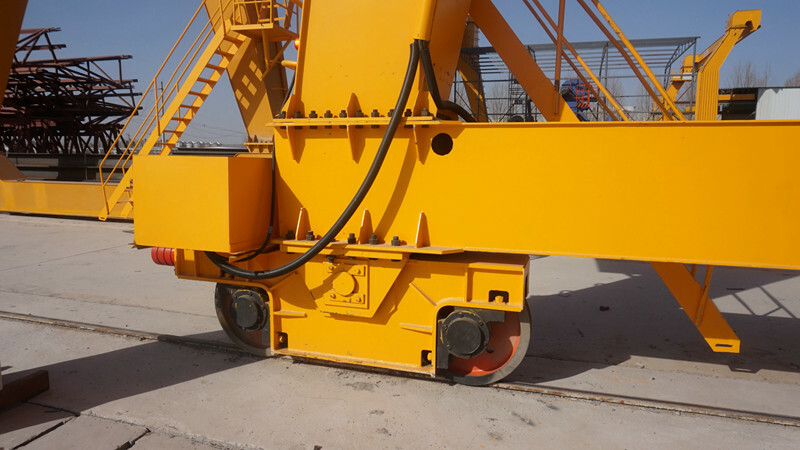 For rigid lifting gear, the swaying is achieved by the steel members. Due to the container on both sides of the space through the legs, so the space of the door and leg has larger clearance. 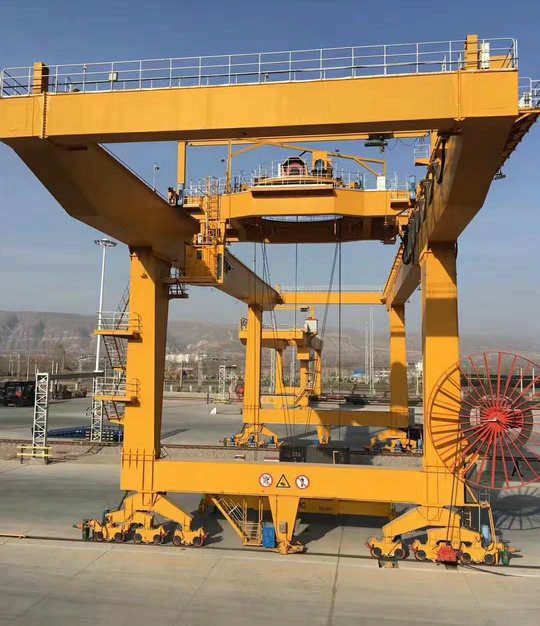 According to the different forms of bearing of the main beam, the rail container gantry crane generally adopts the upper part of the door and leg to be opened in a "U" type and the upper part of the door and leg passes through the "Π" type. 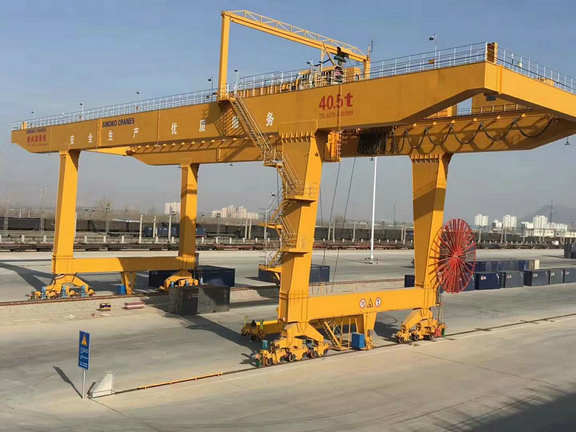 The structure of the rail container gantry crane does not have to pass through the space inside the leg of the container gantry crane, so the structure is relatively simple. 6. 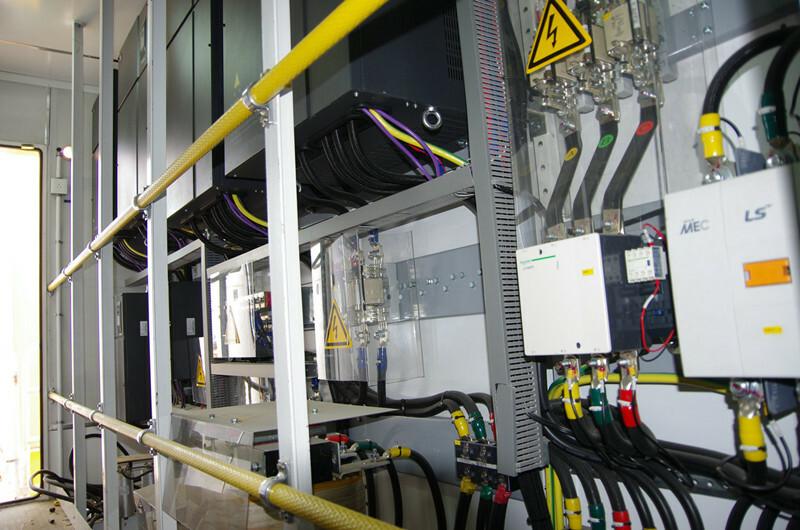 Customized according to the users' needs of working environment, types of power source and the other technical requirements. Also design and manufacture span according to users' requirements.